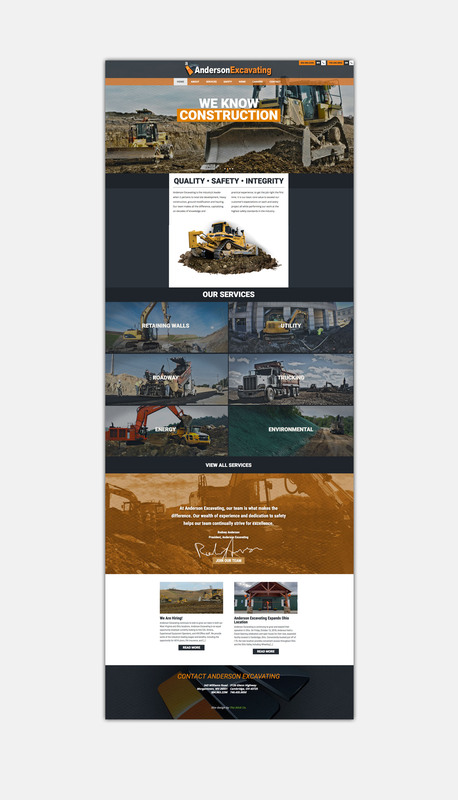 One of West Virginia’s most experienced construction and energy companies, Anderson Excavating was founded in Morgantown, WV in 2002 by Rodney Anderson. Originally focused on excavation and earth-moving services, the company has drastically expanded over the years, now offering multiple services in various states including Ohio and Pennsylvania. 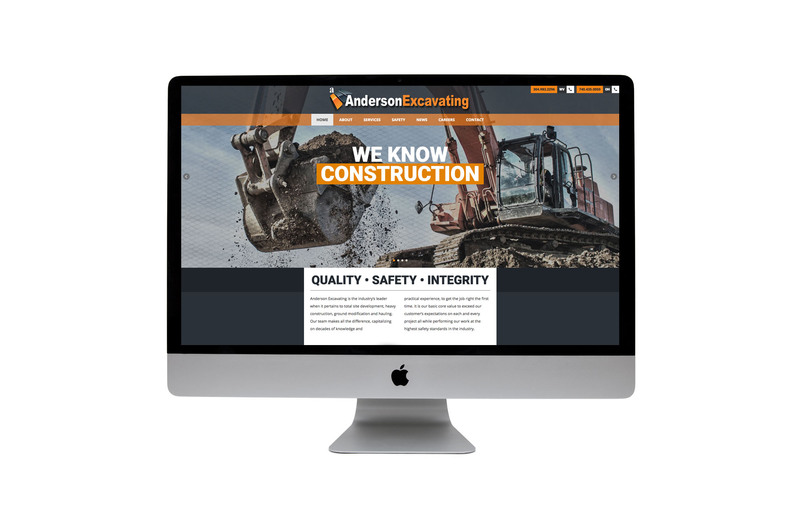 Because of their growth and multitude of services offered in the construction field, Anderson Excavating has partnered with The Stick Company for a number of years to help with their marketing, website and signage needs. As Anderson Excavating continues to grow, so does their need for business development, as well as employees. The Stick Company has worked closely with the Anderson team to help create eye-catching visuals that will attract both new clients and prospective employees to the company. 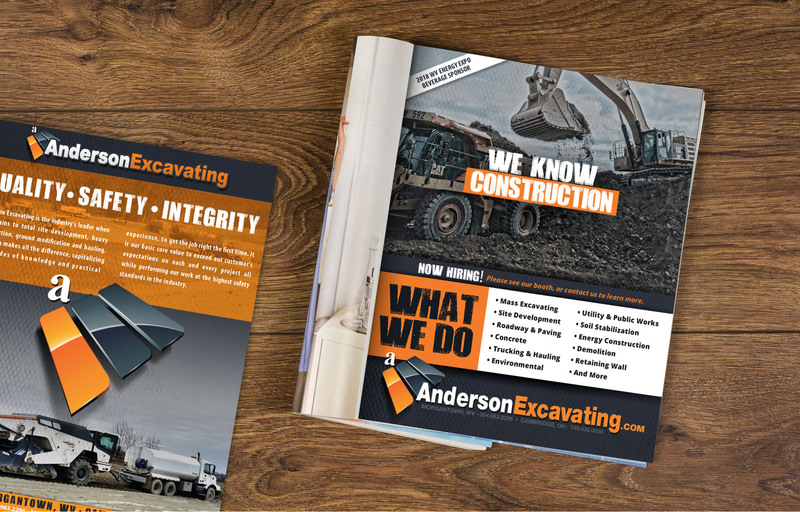 In working with the team at Anderson Excavating for nearly a decade, our team at the Stick Co. has worked on almost all aspects of their marketing with the exception of their logo. Our team helped create such branding elements as new business cards, and digital stationary, as well as various print items such as tri-fold brochures and service line cards. In 2018, we helped launch a new website that features various landing pages for each service, including onsite custom photography. The new website was a key marketing tool for both business and employee growth. 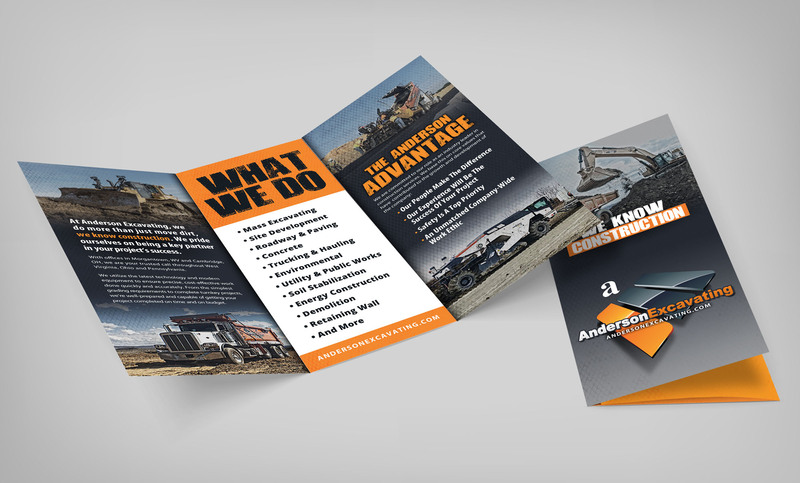 In addition to the various creative and digital needs, our wrap team has been equally involved with Anderson Excavating wrapping a number of items over the years. Those items include pickup truck wraps, service truck wraps, wall wraps, trailer wraps, and storage container wraps. We also help with their fleet’s decal fulfillment. 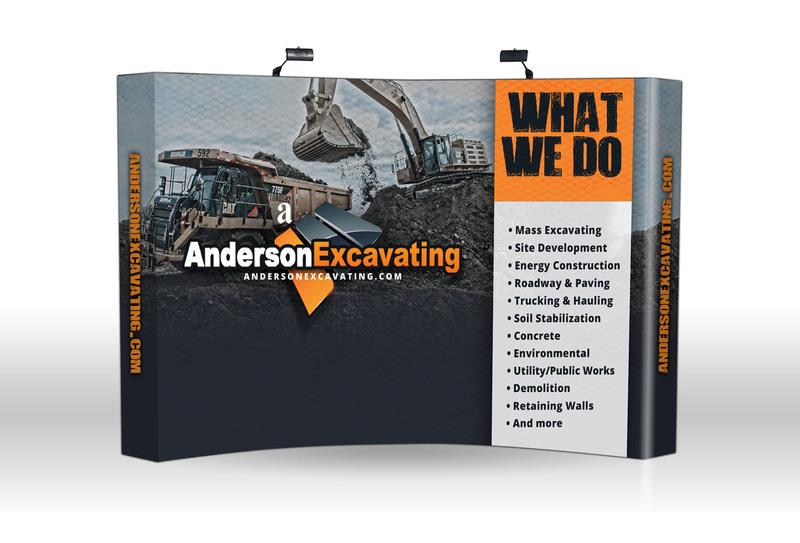 Our team also helped design the Anderson Excavating tradeshow display.